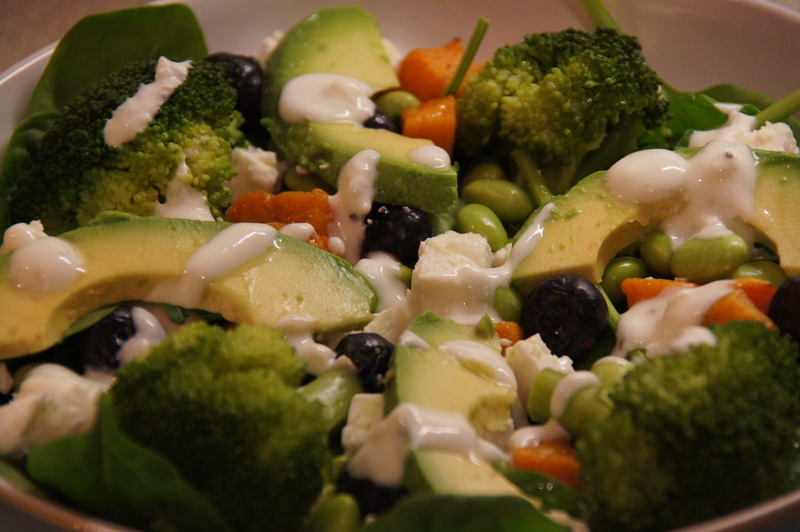 This salad is power packed full of goodness to help cure any illnesses that may be lurking around this winter time. A bed of spinach, loaded with nutrient rich vegetables, antioxidant rich blueberries, crumbled creamy feta and a yoghurt dressing with antiviral and antibiotic properties. 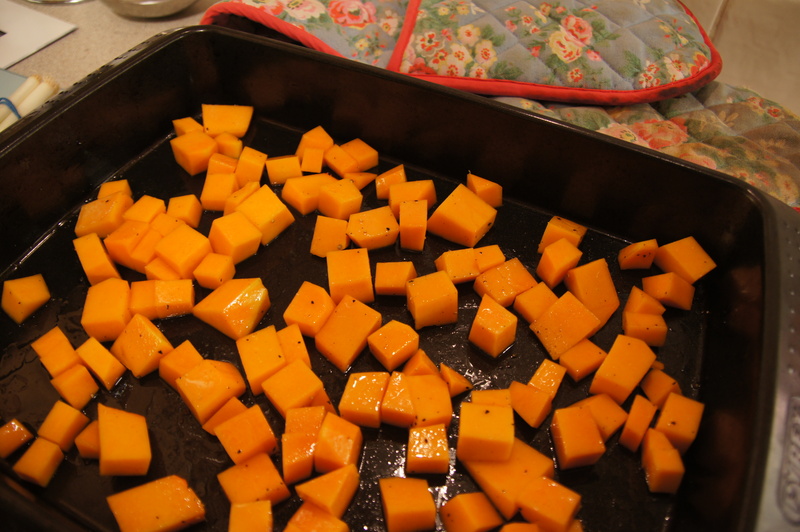 Chop up the butternut squash into little cubes, place on a baking tray and lightly drizzle with olive oil, season with salt and pepper and place in oven for 25-30 minutes. Chop and steam the broccoli until just cooked and then place into cold water to stop further cooking. Chop the feta in to cubes and deseed and slice the avocardo. For the dressing crush the 1-2 garlic cloves into the yoghurt, add the lemon juice and season with salt and pepper. Start with 1 garlic clove and then if needed add more to your taste. 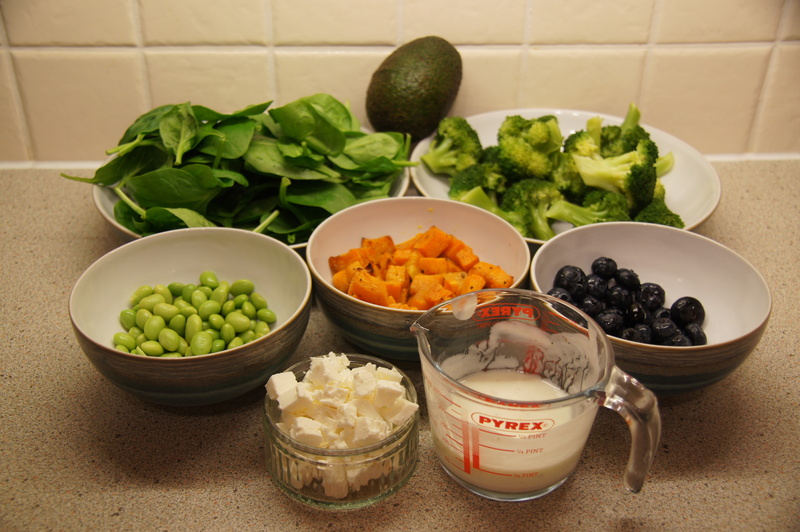 This entry was posted in Dinner, Lunch and tagged antibiotic, antioxidant, antiviral, avocado, blueberries, broccoli, butternut squash, feta, garlic, gluten-free, glutenfree, health, lemon, shedding the wheat, soya, spinach, vegetarian, yoghurt. Bookmark the permalink.